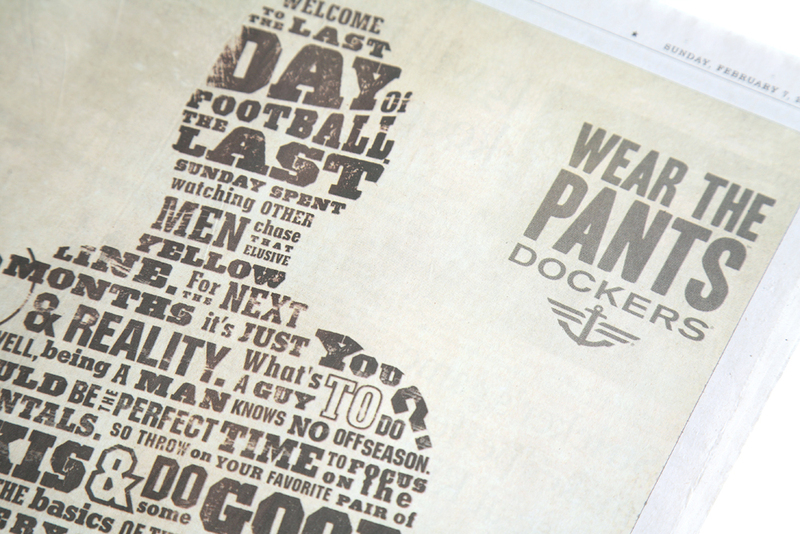 When Dockers repositioned their brand with the tagline, ‘Wear the Pants’, they launched an impressive campaign aimed at helping the brand steer away from their Dilbert days and into one that felt youthful and contemporary. 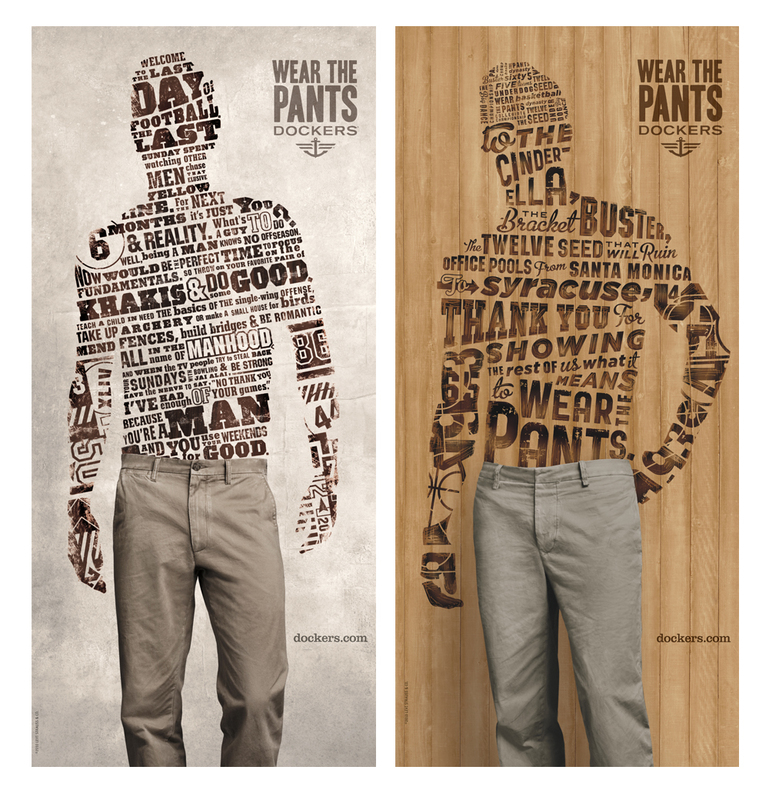 The campaign’s iconic creative was formed by various silhouettes molded out of type, paired with the image of the pant. Each silhouette carried a different message and personality. Different artists were used to create the designs, which gave me the flexibility to have fun with the content. 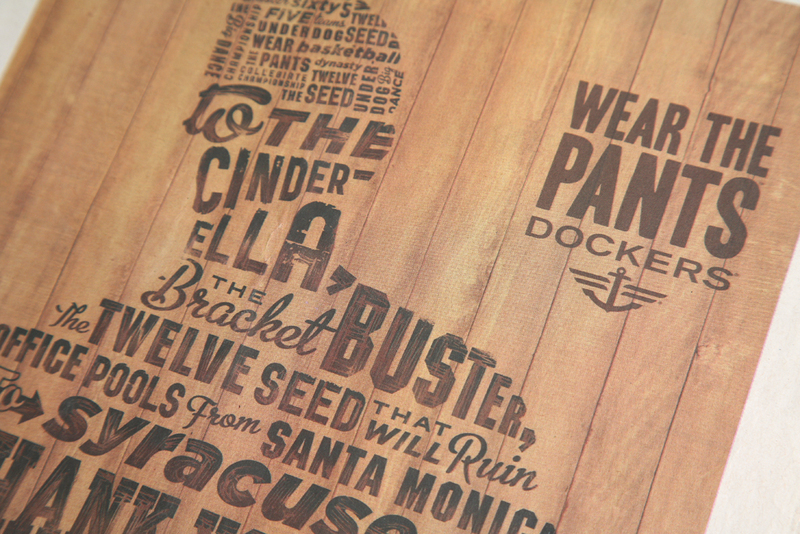 These print ads ran on the day of the Super Bowl and NCAA final championship.